As you know Windows 10 is a widely used Operating System for Desktops and Laptops. But, when Windows users think about file manager or file explorer, he didn’t think about any other trick to do the same task on Windows. But, GeekyArea team is always curious to find something better than ever. So, we have found out the best Windows Explorer alternatives in 2019 and I am sure you will love these file manager alternatives. When a Windows user uses its operating system, he doesn’t think to do some interesting with the system. We can say it because he may not have the knowledge of the Internet or software properly. To find out the best thing about the internet is curiosity. And, a user is using the default file manager that creates issues and let us feel lazy and outdated. For a Geek, a Windows Explorer is very odd and it needs a better UI (User Interface) to make it more attractive and faster. To help the Geeks, GeekyArea is here to tell you about the top and best Windows Explorer alternatives in 2019 with various points, features and cost if any. 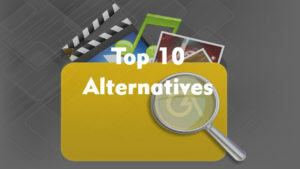 As you know alternative refers ‘one of two or more available possibilities.’ So, Windows explorer alternatives are those windows applications which work the same task but we found the best alternatives which work faster, better and reliable in a convenient way and smoother than ever. I have tried 20+ file managers on Windows 10 and found 10 file managers better & faster. So, I am writing about these best 10 Windows Explorer alternatives in this article and also, I will share all the information about these file managers. You can find the best one for yourself by reading the article. When you use Windows default file explorer you find the limitations and slow working. So, Directory Opus is here to help you to solve the problem and it is available for free download with the awesome features. It shows folder trees that’s not possible by Windows Explorer. You can switch multiple folders/tabs quickly by Tabbed interface. It can replace the default file explorer easily and also allows you to sort, filter, group and search features inside the explorer. You can also add ratings, tags, and descriptions to any file or folders easily. You can check file metadata and you can edit it easily. It also supports ZIP, 7Zip and Rar formats. Check the folder size easily. Available in 32-bit and 64-bit versions. Frigate3 is an easy-to-use file manager with built-in various apps like docs reader, pdf reader, HTML reader etc. 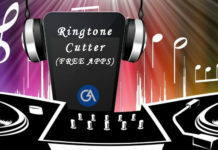 It contains a lot of premium features in its free software. It has its own TreeNotes, StartUp Manager, SmartPad, Calculator and Directory Size Manager to manage the windows directories. Frigate3 can write the data onto CDs easily without any third-party software. You can use regular expressions with the search option. Xyplorer is another file manager for Windows and it supports Windows 10, 8, 7 and even Windows Vista. It has various features like Tabbed browsing, file searching, a versatile preview of folders and tabs. You can customize the user interface easily. It is very fast, light and portable. FreeCommander is an easy-to-use Windows File manager alternative. You can do your daily work easily with the help of FreeCommander. 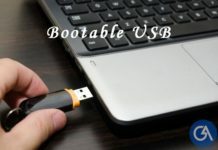 This free software allows you to keep manage your data on your personal computer without any problem. It is available as portable software and you can download once and get it to install on any other PC via USB or CD drive. Totally Free! Yes, One Commander is absolutely free for all the time and you get updates whenever new features available. Once Commander is also a portable software and you can install it via USB drive on any PC. Once Commander supports Windows 10, 8, and 7. I have written about top 10 file managers for Windows 10, 8 and 7 and now it’s your turn to find the best one for your system. All the Windows Explorer has it’s free version even you can try 14-15 days of the trial of Pro versions with above links. Just, try and get the best file explorer for your windows.